JIP. Ed. 2 (2016), 137-146. This analysis seeks to examine the history and development of moral/character education in America during the 20th century providing structure for the character education movement in today’s educational context. The common denominator and key to character education for the future is community. The concept of community connects the three aforementioned themes and provides a roadmap for better implementation of character education. Careful consideration is given to the interaction and contributions of the school and society in terms of promoting and developing character education. Though there is generous support from politicians, educators, and parents, character education is still somewhat mired by its lack of scope. This examination proposes that current character education proponents can find new frameworks for implementation by observing the history of character education. JIP. Ed. 2 (2016), 147-160. Social responsibility suggests that an individual has responsibility to the community or society in terms of choices about behaviors. Moral responsibility implies a knowledge and understanding of ‘right’ and ‘wrong’ and the ability and willingness to behave morally. These debates reflect the uncertainties about how moral and social responsibility can be conceptualized and promoted within modern societies. Adrift from moral certainties and wary of merely promoting dominant cultural norms, the role of moral reasoning and the ability to rationally choose between moral values is fore fronted, but leaves us with a concern that such choices may lack a coherent value base or ‘morality’. The debate leaves us with the question as to how we promote moral and social responsibility in young people as part of their learning in higher education in ways that promote moral reasoning but also develop values and ethical stances that go beyond, and can contest, the social norms of the times. JIP. Ed. 2 (2016), 161-172. JIP. Ed. 2 (2016), 173-182. The purpose of this study is to discover, describe and explain the development model of character-based English language in senior high schools to improve student’s achievement. This study is designed to approach research and development, the research is followed up by studying, investigating, and understanding as well as how the model-based development of English Language learning character develop. The sample of the study consists of 30 teachers who are taken from 8 senior high schools in Banda Aceh that have the same background and characteristics. 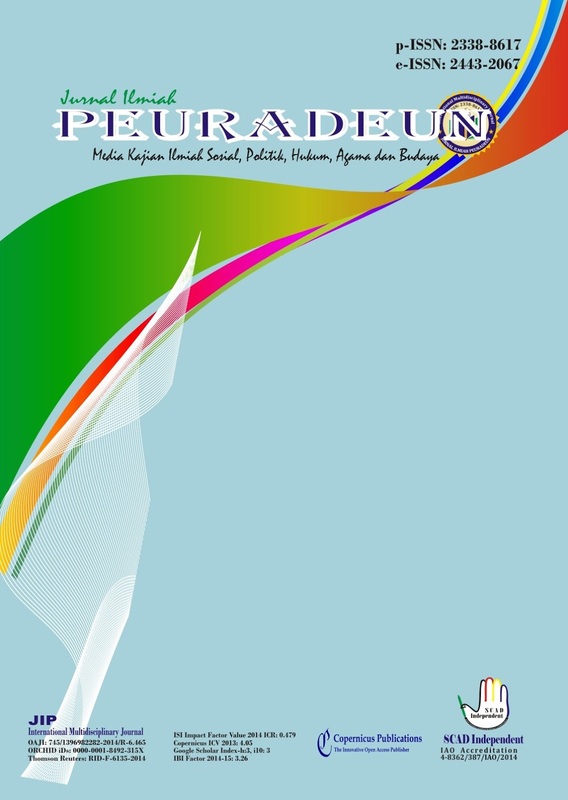 To produce a model of teaching English in senior high schools in Banda Aceh, the model is conducted systematic steps in the form of the process of action, reflection, evaluation, and innovation. The method used is direct observation, questionnaires, interviews, seminars, and development. Furthermore, this research is expected to produce English language-based learning model character in accordance with the national culture. JIP. Ed. 2 (2016), 183-194. JIP. Ed. 2 (2016), 195-204. Students discipline problem is developing into an epidemic in Nigerian schools. Every culture has its own values and norms, and these are communicated to its young generation through disciplinary strategies; and being culturally conceptualized and negotiated, these strategies and the languages therein, can only be understood by the members of the identifiable cultural group. The study evaluates some relevant information on teachers’ routine experiences and their views on the effectiveness the enforcement of order, control and disciplinary actions in secondary schools and how school disciplines are influenced by the cultural background of the Staff and students. This study explores teachers’ views on the common approaches and school disciplinary models in Nigeria. The paper suggests that the current educational administration and policies erodes the powers of the secondary Staff to such degree that teachers are disempowered hence, indiscipline among students continues to gather momentum causing poor academic performances. JIP. Ed. 2 (2016), 205-216. This study aims at determining styles of leadership in improving the performance of personnel, factors affecting the personnel performance, and inhibitors in improving the performance of personnel. This study used a qualitative approach with descriptive methods. Data collection techniques were done through observation, interview and documentation study. The subjects were principal, vice director, heads of division, and teachers of Dayah. The results showed that: 1) The leadership styles of dayah in improving the performance of personnel was a consultative, participative and instructive leadership style. 2) Factors that affected performance of personnel were the authority and charismatic of the principal in the presence of personnel, and democratic in decision making, and the religious environment, 3) The limiting factors in improving the performance of the personnel were the number of students that exceeds the capacity dormitories which were available, some of the personnel did not have the administration skill background, the minority of personnel who were less active, and were not able to provide financial support for the personnel. JIP. Ed. 2 (2016), 217-230. Human resource development is one that can be implemented through the implementation of non-formal education, in this case is pasraman kilat which is expected to enhance the spiritual values. Methodologically this study is using the procedure of research and development, where the stages include: (1) A preliminary study, (2) Preparation of a conceptual model, (3) Validation and revision of the model, (4) Testing the model, (5) Revision of the model, and (6) The final model of pasraman kilat. This study managed to describe (1) The pasraman kilat has not fully follow the principles of good learning, such as planning, implementation and evaluation. (2) The conceptual model was developed using pasraman kilat participatory approach which is expected to bring about change in the planning, implementation and evaluation. (3) Implementation of pasraman kilat model is showing success. It is characterized by the achievement of such indicators; a) planning, b) implementation and c) evaluation. The effectiveness of pasraman kilat models indicated by the positive impact of both the participants and the organizers of pasraman kilat. JIP. Ed. 2 (2016), 231-238. This article describes the implementation of writing in Mathematics as an effort to improve students’ problem solving skill. The research method was classroom action research which was conducted in three cycles. Research participants were 24 first-year students at PGSD FKIP Syiah Kuala University. Data was collected using a written test consisted of mathematical word problems presented to the students at the end of each cycle, and interview. Students’ problem solving skill was analyzed based on the four steps of problem solving proposed by Polya: 1. the ability to understand the problem, 2. the ability to plan a strategy to solve the problem, 3. the ability to execute the plan, and 4. the ability to re-check. Result shows that writing in Mathematics improve students’ problem solving skill. In cycle 1, the average score of students’ problem solving skill was 51.7. In cycle 2, the average score was 75.6, and finally in cycle 3, the average score was 83.4. During interview, the students confessed that writing helped them organize their thinking so that they can solve a problem satisfactorily. JIP. Ed. 2 (2016), 239-256. Matan hadith understanding of the women position in the family, in variety of classical fiqh books, especially the discussion about morals and the rights and obligations of one's wife in the family, tend to give a low position for women compared to the husband position. The wife is represented as the super, perfect and completely able to be submissive and obedient in total, so it is quite narrow opportunities for her to get a fair life as the position of her husband's life. This study discuss the meaning and interpretation by using a contextual approach and rational. This study aims to provide a more comprehensive directive in the meaning of the text of the hadith and dismissed accusations that lead to less humane view of the treatment of women in the household as well as being a comparison of thought in understanding the hadith of the prophet.